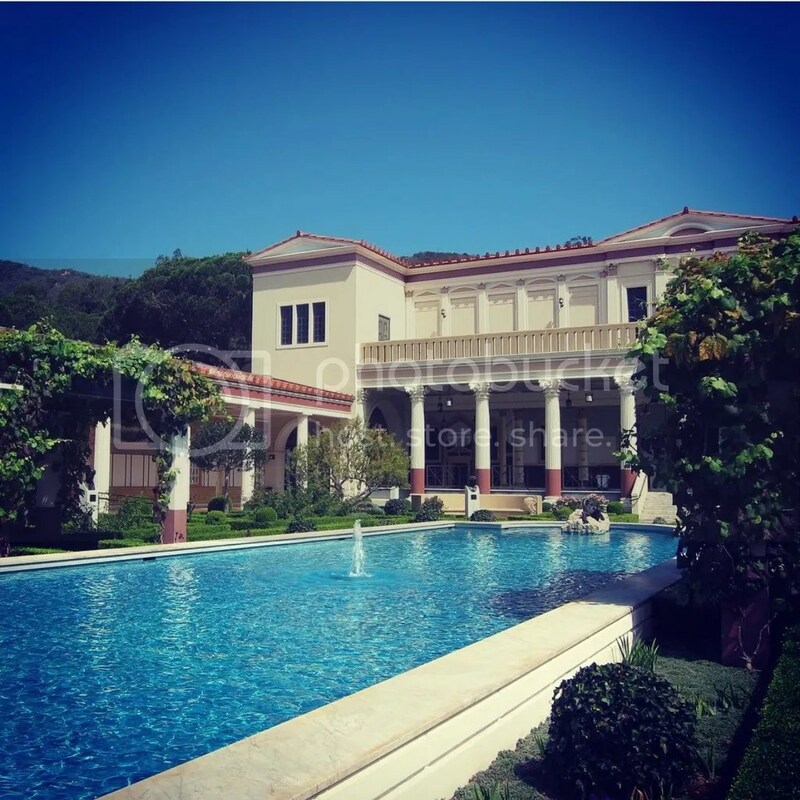 Make a day out of going to the Getty Villa in Malibu and Getty Center in Brentwood. Admission to both museums are free. Make sure that you get an advance timed-entry to the Villa. Parking is $15; $10 after 4 pm. You can pay once, park twice on the same day. (i.e. go to the first Museum, park and pay $15, then go to the second museum and show receipt). I personally like going to the Villa first and then going to the Center but that just me. I live in the San Fernando Valley and I pass the Center all the time when I take the 405, and I rather go to the one furthest away. For both museums, I never really take into the art. I don’t know why but classic art isn’t really my forte. Sometimes I look at it and then pass by. If the painting or the art piece seems interesting, I read about it and then move on. I only like both the Villa and the Center for their gardens. The Outer Peristyle is my favorite in the Villa. When you go into the Villa, this is the first thing you see. It is the largest garden and is adorned with hedge-line pathways and circular stone benches. Best pictures are taken in the front of the garden or on the second level balcony overlooking the garden. From this balcony, you can even see the Pacific Ocean. At the Center, I have two favorites; the Central Garden and the Cactus Garden. 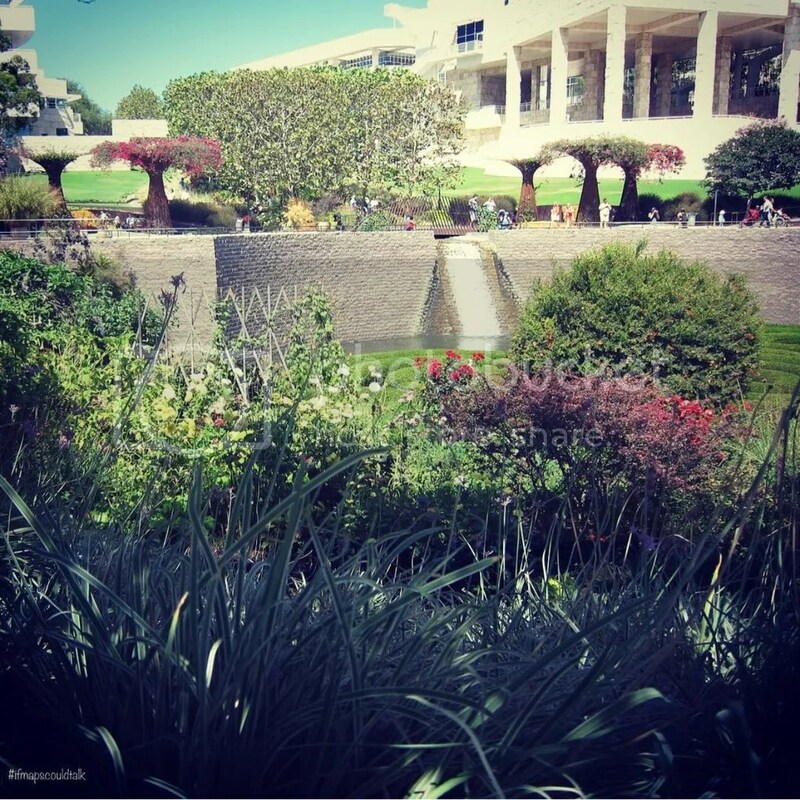 Depending where you are in the Central Garden, it gives you different sights of the Getty Center. The Cactus Garden is where you can check out the 405 traffic and have a view of the Downtown Los Angeles. Unfortunately, because of California’s drought, the Getty turned off their water features in both museums. So some of my pictures are not what you may see when you go there now (I guess just water-less). This entry was posted in Art, West LA and tagged Los Angeles, The Getty Center, The Getty Villa. Bookmark the permalink.